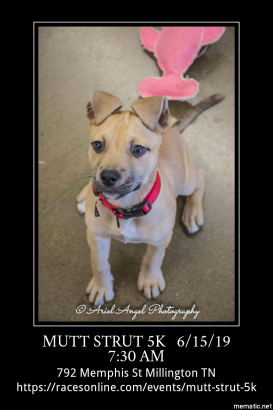 We are excited to announce our 3rd annual Mutt Strut 5k being held at N82 Gym, located at Naval Support Activity Mid-South in Millington, TN June 15, 2019. Our last 2 races were huge successes. We are hoping to double our numbers this year to 300. With volunteers’ shirts, that’s over 350 walking billboards with your company name on the back. At the end of the race, medals & prizes will be awarded and refreshments will be served along with an opportunity to meet some adorable, adoptable dogs. We are seeking sponsorships of all levels. There are many opportunities to help us with our mission to save abandoned, abused and stray dogs. 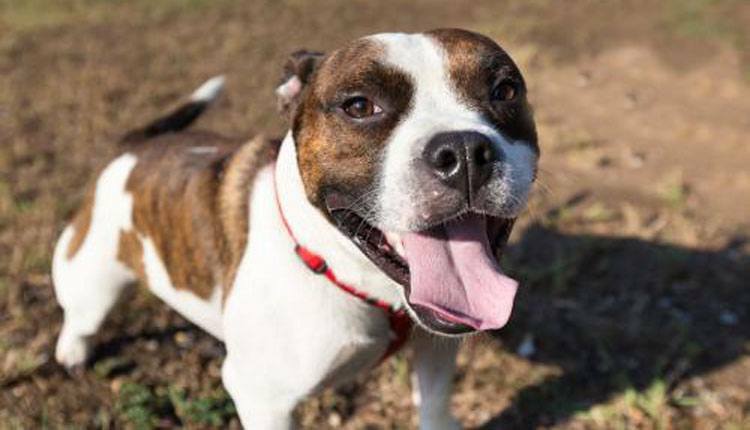 Dogs 2nd Chance is a local, Memphis area 501[c] public charity. We are a mixed breed dog rescue group. We have saved over 1,300 lives since our inception in September 2007. Dogs 2nd Chance saves abandoned, abused and stray dogs and puppies. We spay or neuter, microchip, vaccinate, treat parvo and other deadly diseases, treat heartworms and provide life changing orthopedic surgeries. No dog is turned away due to breed or medical needs. Our goal is to find forever homes for each dog, raise awareness about the importance spaying and neutering pets along with responsible pet care. We also search for owners of lost dogs. Dogs 2nd Chance is not a shelter and receives no government funding. Our nominal adoption fee barely covers a healthy dog that is with us short term. We depend on donations and fundraisers to continue our mission. For your review, I have included information on the sponsorship opportunities. Non-monetary sponsorships such as food, equipment rentals, gift cards, printing services etc. are also needed and receive the same benefits as monetary sponsorships. We will follow up with you to answer any questions you may have and to discuss the opportunities available. Feel free to call me with any questions. Thank you for considering our request. We appreciate your early commitment to help us plan our expenditures. All sponsors are invited to set up a tent and tables outside of the gym.